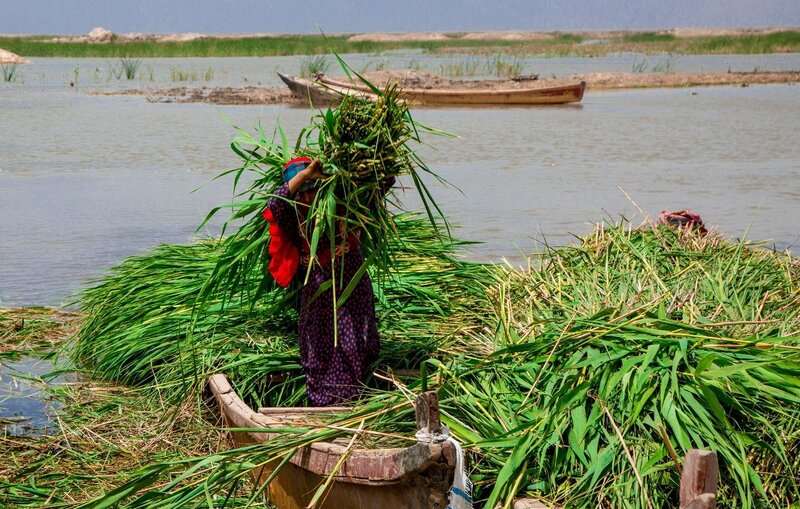 The*AMAR International Charitable Foundation*has begun construction of a domestic-wastewater-purification system in the Mesopotamian Marshes, where all 30 houses in the village of Al Adhaima will be connected to the network. AMAR’s Replenish Project is seeking to tackle some of these issues in the Hammar Marshes. It will use the existing natural reedbed systems for the final process in the collection and treatment of domestic sewage and wastewater. Once treated, aerated and filtered, the cleaned water will*be redirected to the river, where it will flow into and recharge the Marshes. The project is being carefully monitored and evaluated in close co-ordination with the Directorate of the Environment, who has been part of the project team throughout.